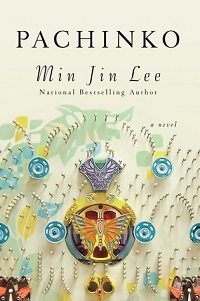 Pachinko by Min Jin Lee is just the kind of historical fiction I love. It’s a great story about decent people living in a time and place I don’t know a lot about. In this case, the setting for most of the book is Japan, from the 1930s to the 1980s, and the characters are a family of Korean Christians. The book’s title comes from the pinball-type game popular in Japan, often used for gambling. Some of the characters work in pachinko parlors, and one of the things they do is nudge the pins slightly each day so that the owner maintains an advantage. That got me thinking of how the system these characters are up against often include tiny nudges that keep them from being quite equal. There’s the presumption that Koreans are criminals. There’s the requirement to register. There’s the language barrier. Yet the nudges can go in the other direction, as the characters learn to work the system. Sometimes that’s simply by persevering in hard work, as Sunja does. Sometimes it’s about accepting help from otherwise distasteful sources. Sometimes (a lot of the time) it’s about accepting the system as it is. This is not a book about revolution. The historical backdrop includes many big events of the 20th century: World War II, the bombing of Nagasaki, the division of Korea, the AIDS crisis. But they’re not the focus—the book doesn’t read like a history lessons in big world events. These events appear as they touch the characters. We hear about Nagasaki, but not Hiroshima, for instance. And that focus on character is one of the book’s pleasures (and ends up being related to its minor flaws). For most of the novel, Sunja is the heart of the story. Everything that happens touches her directly, and we see her react to all of the events. She is a compelling and complex character, a good woman plagued by guilt, always determined to do what must be done to care for her family but equally determined to stand by her principles. In the latter third or so of the book, however, other characters are in the foreground, and sometimes the narrative spins a little too far away from the core story. For instance, there’s a long tangent about the family of a friend of one of Sunja’s sons. That one flaw is not enough to ruin the book, however. It’s a book I thoroughly enjoyed and would happily recommend to anyone who enjoys historical fiction and multi-generational family sagas. I’m reading this on my Kindle app right now (about 35% through) and loving it. My ebook is meant to be a ‘back-up’, read only when I’m traveling or waiting, or otherwise not at home. But I find I’m thinking about this story when I’m away from it and I’m eager to return. This was definitely a book I kept wanting to return to when I put it down. A pretty good feat because I’ve not been able to concentrate well on my reading lately! You had me at historical fiction. Loved your review and I am definitely ordering this book today. 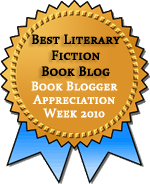 Thank you so much for adding a wonderful book to me TBR list. It’s excellent! Hope you enjoy it! I keep being drawn towards this novel, even though I have many to read, thanks for an excellent review, very enticing! I’m glad the Tournament of Books and my book group combined got me to read it now. I’m really looking forward to this book, but thought it was an entirely Korean based story. Now that I know it’s also set in Japan ( we’re I’m holidaying in a months time) I’ll definitely bump it up the TBR pile. After the first few chapters, almost all of it is in Japan, aside from a chapter or two in the U.S. I really enjoyed this when I read it, and it has stayed in my mind which is not something a lot of books do. I had heard it described in many places as multi-generational, but like you, felt that Sunja was the main character. I was not disturbed by the focus on some of the younger generation in later parts of the book, as it felt to me that those lives were also the concerns of Sunja at that point in her life, too. I guess when I hear a book described as multi-generational I expect it to be more along the lines of truly passing the story on, as in Homegoing (Yaa Gyasi) and I felt that Pachinko always circled back to Sunja, which I really liked. The parts of the second generation that bothered me were the parts about Mosezu’s friend and his wife. Their story was interesting, but it felt like the book was wandering, partly I think because Sunja wasn’t present. I thought this book went on for a bit too long, but in all it was good. There is so little available in English on Korea. Yes, I loved that it was about a slice of history I hadn’t encountered in fiction.